2.Get some gear. When it’s cold, you need to dress the part. Keep in mind though that there are few things worse than overheating on a long run. I typically dress as if the weather is 20 degrees warmer than it actually is. This keeps me warm without overheating. 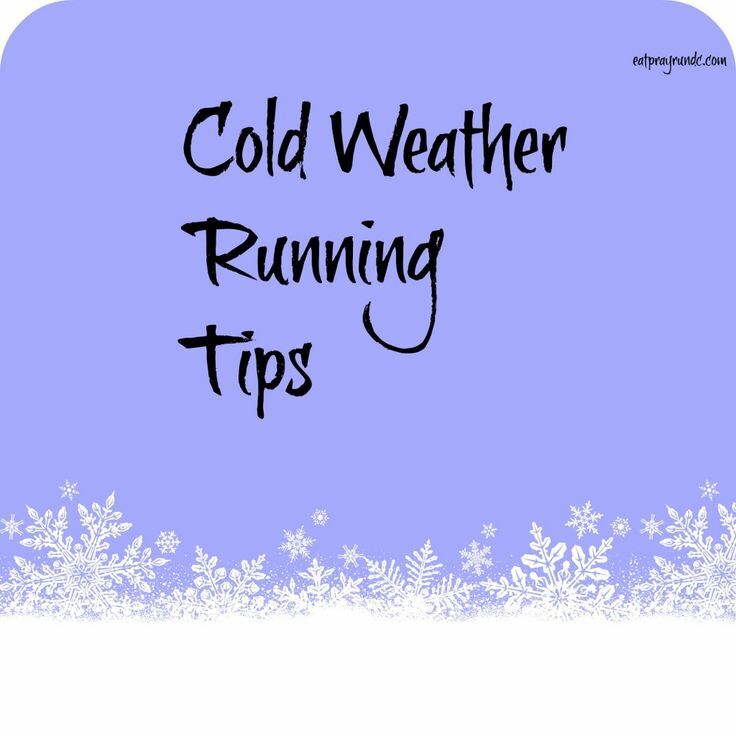 If you are a bit chilly before you start running, that is a good thing. If you are completely toasty while you are standing still, chances are you will overheat. 3.Buy hand warmers – these have been key for me this winter. Keeping my hands warm is crucial – also I have had many runs this winter where the cold temps froze the water in my camelbak tube — solution: hold the tube with my hands (which are warm from the hand warmers) and the water returns to liquid form! Tights and a long sleeve shirt –> that is my base level. I’ll build on this base for most of my winter long runs (except when the weather is freakishly warm like it’s supposed to be on Saturday). A long sleeve tech shirt over the long sleeve shirt. Gloves + something over my ears; THIS IS A MUST. If you fingers and ears are cold, you will be cold your entire run. Trust me. I usually take off the gloves about 2 miles in, but I never ditch them because the weather can always turn. Don’t forget to bring your hydration. Because it’s cold, you won’t feel like you need the same amount of water that you do in the summer, but you absolutely do!